When you have lots of Birthdays and holidays coming up and you want to wish all your friends and family the best, it can be hard to keep track of these dates on a day-to-day basis. 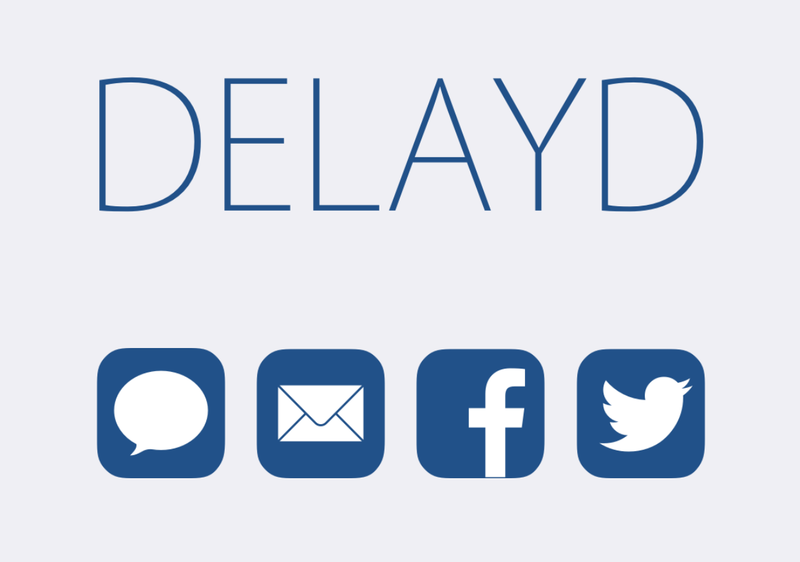 Fortunately, a useful utility app called Delayd is available for free in the iOS App Store that will allow you to schedule messages to your loved ones so you don’t have to remember to send those special messages when the day finally comes. 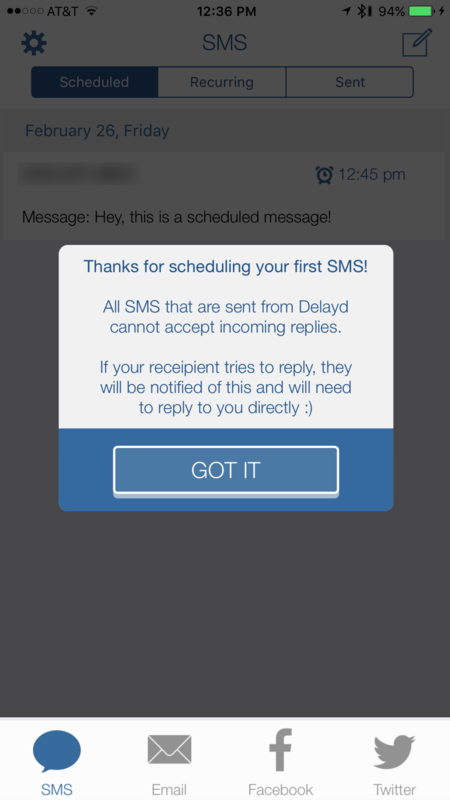 In this piece, we’ll talk about how Delayd works and show you how you can use it to schedule messages to people, but keep in mind the app can also be used for scheduling emails, Facebook posts, and Tweets in addition to SMS messages. If you have a lot of birthdays or holidays coming up and like to wish everyone a ‘Happy Birthday’ or ‘Happy Holidays’ then why burden yourself with the responsibility of sending the messages on time? Sure, it’s a kind gesture, but everyone has a life and it can be difficult to keep track of things like that. Fortunately, Delayd comes to the rescue with an easy way of scheduling aforementioned messages for a specific time and date so you don’t have to keep your eye on the calendar all the time for important upcoming days and holidays. 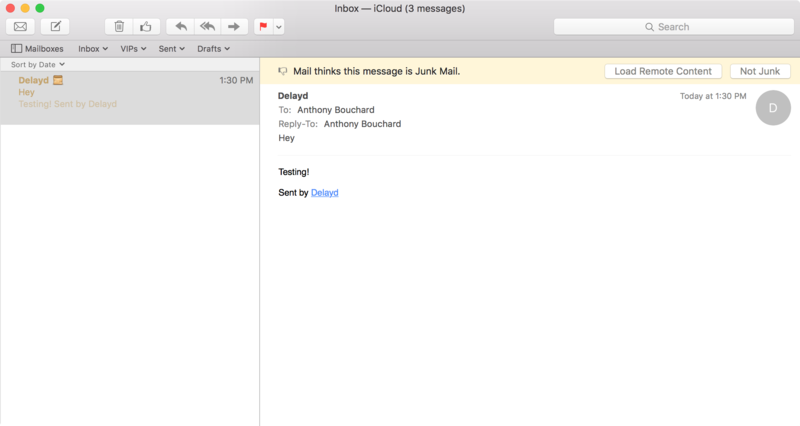 In addition, you aren’t limited to sending messages; if you want, you can also use Delayd to scheduled Facebook posts, Tweets, and even to send emails to all your coworkers, which all may be viable alternatives to sending SMS messages to everyone. Everything can be done on a schedule, so you really won’t have an excuse ever to be late again, but at the same time, a huge burden for being timely is lifted off your shoulders. Setting up Delayd is pretty easy. 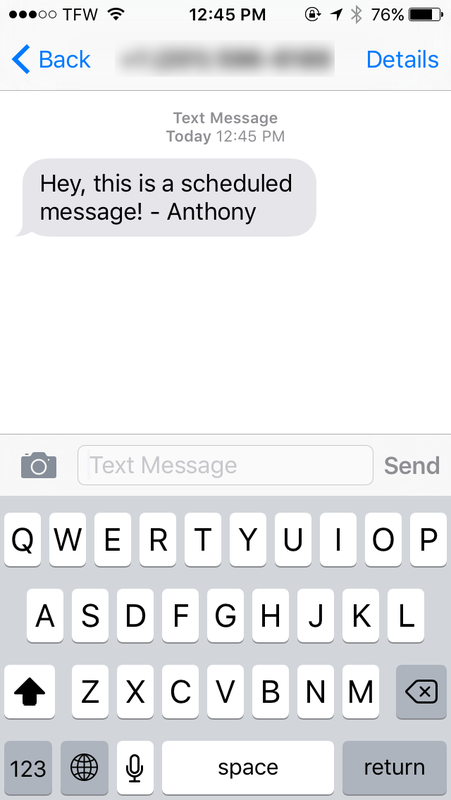 In this tutorial, we’ll show you how to schedule an SMS message. Scheduling a Facebook post, Tweet, or email are all relatively similar in this app, but since the SMS scheduling is the flagship feature, that’s what we’ll be focusing on. 1) Download and install Delayed from the App Store, then launch the app. You’ll be asked to enter your phone number and verify it with a 4-digit code. 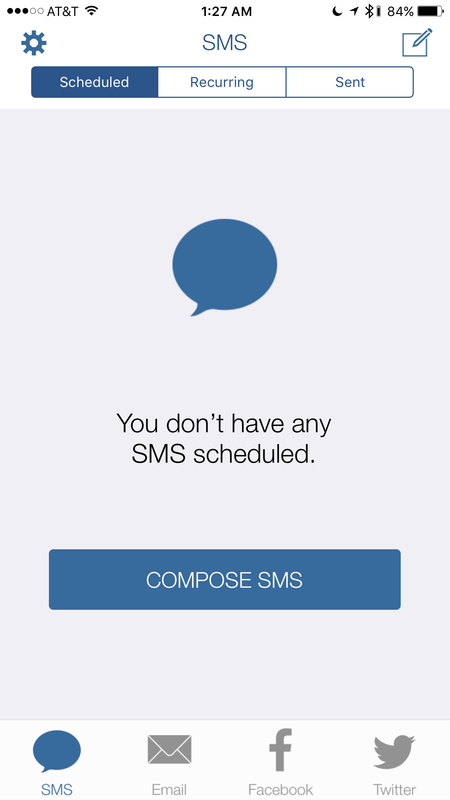 2) Once you’re beyond that step, ensure you’re in the “SMS” tab, and then make sure “Scheduled” is selected. Tap on the blue “Compose SMS” button. 3) With the composition interface open, choose a contact from your Contacts or enter the phone number manually, then enter a message you wish to schedule. Note: You can configure the message as a one-time message, or as a reoccurring one. You can also select the day and time you want it to send to the recipient. Since you’re limited to SMS messages, there is a 145 character limit you need to limit yourself to. Messages sent with Delayd are sent as SMS and not iMessage. 4) Once satisfied, tap on the blue “Schedule” button, and the message will be delivered to the selected recipient at the date and time you set. Since Delayd isn’t going to send a message from your phone number, it’s going to show up on the other person’s phone as a new phone number instead. Admittedly, this is one of the downfalls of the app, but it does do you the favor of telling the person who you are. In our example, it says “- Anthony” at the end of the message to let the recipient know it was me who fired off the message. 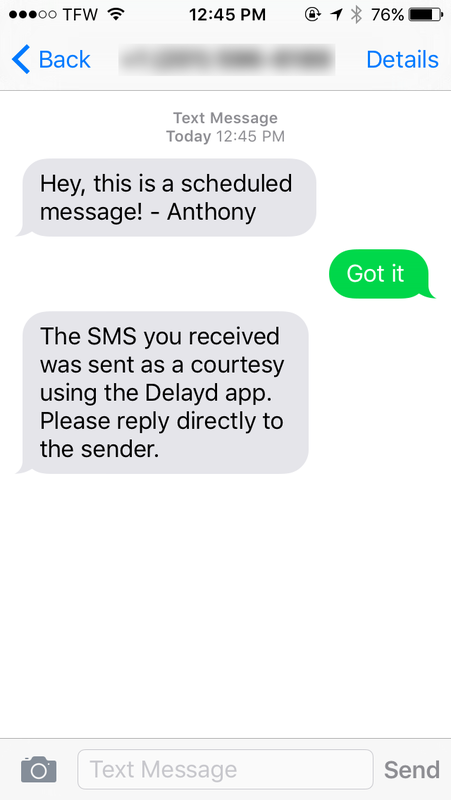 On the bright side of things, if the user wants to reply to you, the Delayd message service is kind enough to remind the user to text you directly, rather than trying to reply to the old phone number. There are some shortcomings to the app that should be mentioned before you go making it your best friend for events such as Birthdays and holidays. Although Delayd works great for what it’s made for, the unknown number it texts your friends with means your message may get filtered into their spam messages. It may even mean your message could be ignored by the user because they may be wary of replying to what looks like an unknown number. 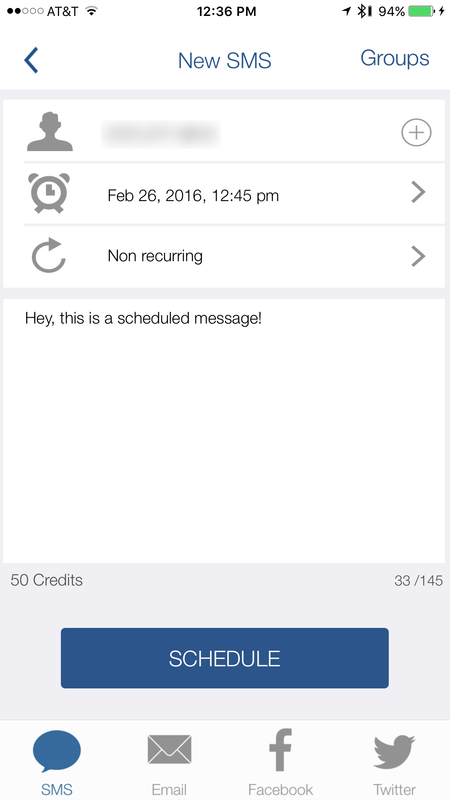 Fortunately, Facebook, Twitter, and Email messages are not affected by these credits, so you can schedule those kinds of delayed messages all day long and it won’t impact your credits. It’s only SMS messages that are limited. To use Facebook or Twitter with Delayd to schedule Facebook posts or Tweets, you’ll have to link your account with the app, which may be something users who don’t like giving apps access to their personal data for privacy reasons could have a problem with. If you want a good way to schedule automated messages, Facebook statuses, Tweets, or Emails, then Delayd is a decent way to go, but as far as the SMS feature is concerned, nothing is quite as heart warming for Birthday or holiday greetings as a regular phone call, or seeing the message come from your own phone number. Despite the caveats, I think the 50 free credits will last any user a great deal of time, especially since they’re only counted towards SMS messages, and I think the price points for the additional credits are fair despite the fact that I don’t particularly enjoy in-app purchases. I also like that the app’s interface is easy to follow and that it seems to work as advertised. If you need easy scheduling for any purpose whatsoever, then Delayd is a rather decent option. 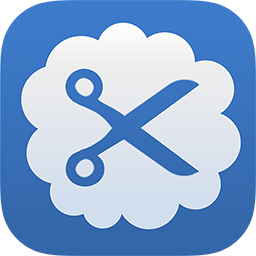 Delayd is a free download in the App Store, but it still offers in-app purchases to extend its limited free functionality. Despite this, it still works relatively well for scheduling your text messages, emails, Facebook posts, and Tweets. What are your thoughts on Delayd? Share in the comments.